← America’s biggest missed opportunity? Chicago is a hell of a town. And members of our extended American family making beautiful suits. I flew into Chicago on Monday and spent the afternoon just wandering around town. 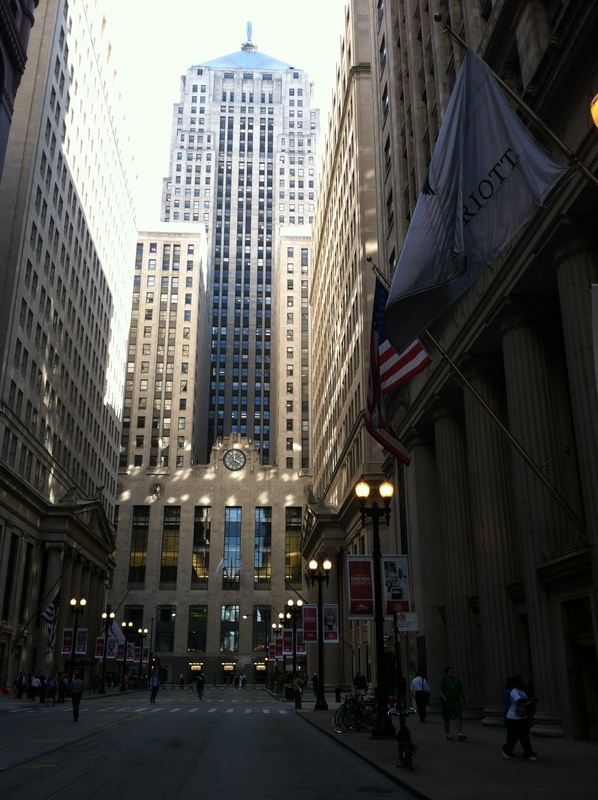 I must have walked ten miles looking at buildings and trying to avoid getting hit by Chicago drivers. But yesterday was all business. I am in the midwest this week to visit American manufacturing firms that I am featuring in my upcoming book, Simply American, Putting Our Extended American Family Back To Work. Yesterday morning I took the blue line out to Des Plaines to visit the iconic American apparel firm Hart Schaffner Marx. 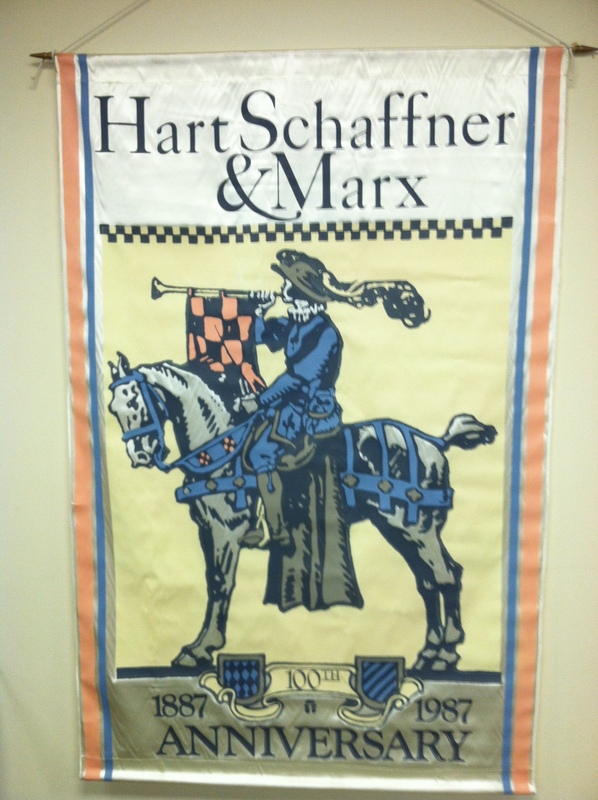 I have written about Hart Schaffner Marx in the past. I was greeted by Mr. Lennart B. Bjorklund, Hart Schaffner Marx’s Executive Vice President of Manufacturing and Distribution Services. Mr. Bjorklund personifies the American success story. Originally born in Sweden, Mr. Bjorklund learned the apparel industry in Sweden, the UK, Canada and finally in the U.S. After working for apparel firms in the Baltimore, Maryland and Bridgeport, Connecticut, Mr. Bjorklund joined Hart Schaffner Marx in 1990. Like so many other members of our extended American family, Mr. Bjorklund came to the decision that he wished to call America home for the rest of his life and became a naturalized American citizen. During my conversation with Mr. Bjorklund, I was struck by his deep admiration for the workers at Hart Schaffner Marx. Their willingness to work hard, day in day out, is one of the core values that makes our country great. The average tenure of Hart Schaffner Marx employees is 17 years. During my tour of the Hart Schaffner Marx production facility, I met Caroline Smith, a gracious lady who has been sewing Hart Schaffner Marx suits for 38 years. At the end of our tour, I met a gentleman who has been ensuring the high quality of Hart Schaffner Marx suits for 49 years. I was humbled by the dedication of these individuals. As Mr. Bjorklund and I discussed my efforts to promote the sales of products made by members of our extended American family such as Hart Schaffner Marx suits, Mr. Bjorklund shared stories about Hart Schaffner Marx’s employees. Mr. Bjorkland informed me that during Hart Schaffner Marx’s annual service award celebrations, retiring employees routinely thank Hart Schaffner Marx. These employees recall the opportunities their job at Hart Schaffner Marx provided them during their career. The ability to buy a home. The ability to support their children attending college. The ability to enjoy a secure retirement. By simply making make American products our default choice, we can provide jobs for members of our extended American family. This is the primary reason we should all strive to support American manufacturing. Americans who work in the manufacturing sector are able to provide for themselves, provide for their families and provide for their community. 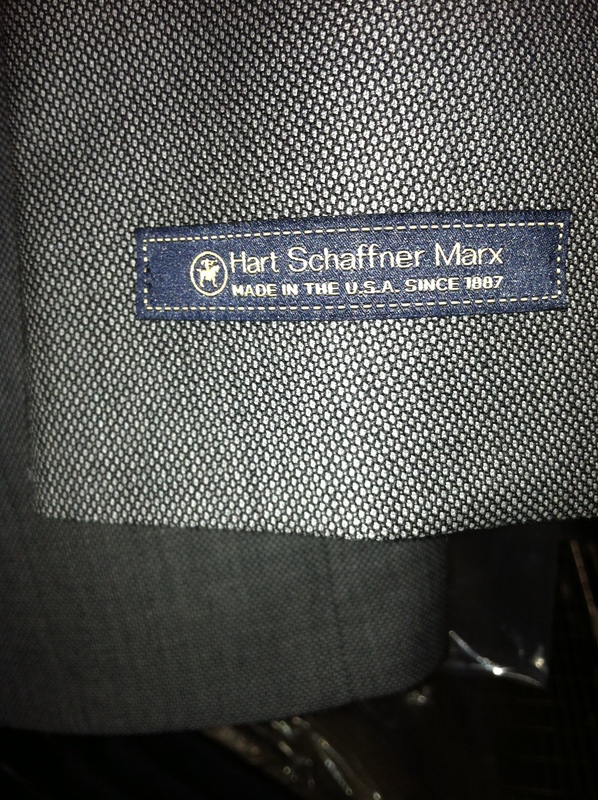 So when your son needs that first suit for his big job interview, make it a Hart Schaffner Marx suit. He will look great and you and he will know that your purchase has, in turn, allowed a member of our extended American family at Hart Schaffner Marx to support their son or daughter. What could be better than that? This entry was posted in american made, Apparel, Made in America, made in usa, Men's Wear and tagged Chicago, Des Plaines Illinois, Hart Schaffner Marx, Hartmarx, Made in America, Made in the USA, Made in the USA products, suits. Bookmark the permalink. 5 Responses to What well dressed American men have been wearing for more than 100 years! In order to understand the state of clothing manufacturing in the United States, one has to look at the whole of the Hart, Schaffner, & Marx Company, better known as HMX Corp.. I was a men’s retailer who recently closed my family business of 93 years. I carried many of the HMX products. My biggest sellers were their slacks — Austin Reed and Sansabelt. The Austin Reed label was once Palm Beach, before that Racquet Club, and before that ………… You see, the original slack company was Jaymar Ruby, makers and creators of the Sansabelt brand. Originally manufactured in Indiana, manufacturing was moved overseas and Mexico when the HMX Corp. bought them. The only made in the U.S.A. product HMX Corp. has is the Hart, Schaffner & Marx suit. The suits and sport jackets I purchased under the Palm Beach and Austin Reed labels were made outside the U.S.A.. The company did this in order to survive and they have always maintained their quality control, which is a challenge when you’re manufacturing thousands of miles away. Many “manufacturing” companies today are marketing companies, concentrating more on their licensing agreements with designers and labels, and less on the actual manufacturing process. China really broke the back of the men’s tailored clothing business, and until their wages inflate, the price difference is too great to have that end of manufacturing returning to the U.S.A.. I resisted as long as I could, which was easy to do when their product was inferior. However, over the last few years, they’ve gotten their act together and are putting out a good product. Wage inflation WILL happen, and when it does, you’ll see some of that Chinese manufacturing return to the U.S.A. the way it did with Japan. And like Japan. you’re starting to see China move away from lower paying soft goods manufacturing to more high tech products. Great post, but I could bore you for hours on this topic. Thanks so much for your detailed comment. Would you consider doing a guest post on my blog on this topic? Let me know. Thanks, John. Actually, my blog focuses on humor, but I’ve been in men’s retail for nearly 40 years. I’ve seen the transition from domestic-based manufacturing to imports, the changes in quality and standards, and your posts seem to hit the right nerve. I’m happy to comment, happy to advise (if you need it), but would rather concentrate on making people laugh. I’ve been fitting cuffs and crotches my whole life and need a new direction. But never say never.